I would like to see more activity on this forum so in order that others may open up I guess I will set the stage. 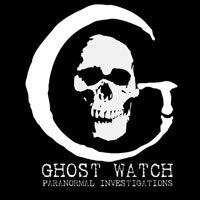 I was an active paranormal/UFO researcher for well over 20 years and I still read accounts here and there. I have met many so called experts in the fields and have had experiences of my own. I gave up the search after settling down. I get asked the same question all the time though. "What did you learn?" I learned there are no real experts, only people with theories and agenda minded researchers. This in my opinion is why we will likely not ever see researchers agree on anything together. If we had experts there would be no controversy or bickering that this theory is better than that theory, etc. I did learn that the phenomenon is something real but it's facets are so diverse that it bleeds into a realm of such high strangeness that some of the data is better dismissed than accepted. If you have had any strange experiences feel free to ask questions. There are things that only you and others experiences know. It's a sort of validation to let us know we are not crazy I think. Then again it might be better that we were.